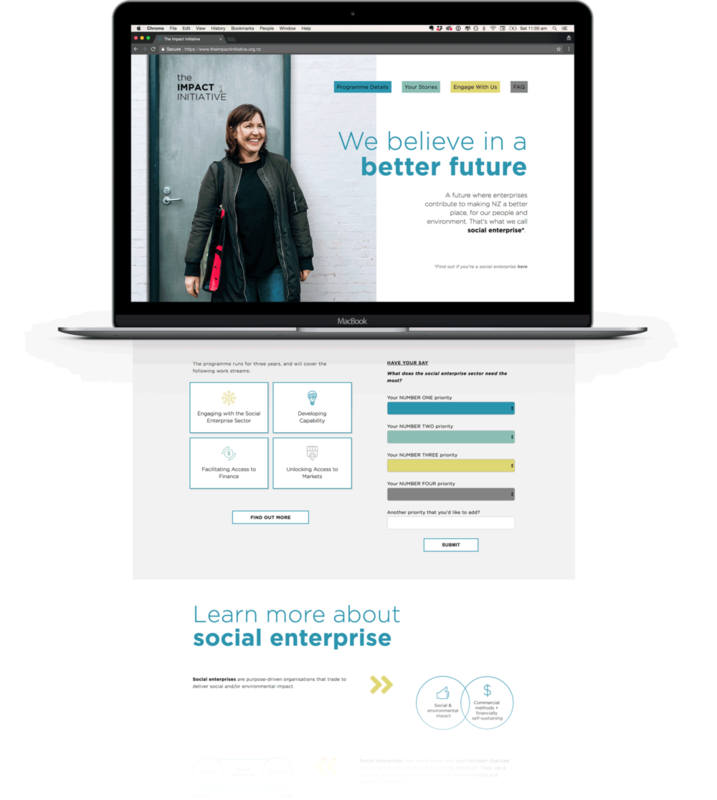 Together with The Ākina Foundation and the Community Enterprise Network Trust, we were given the not so small task of creating a visual identity and a website to house the ambitions and intentions behind a three-year, $5m programme of work to transform Aotearoa NZ's economy through impact. Working to an incredibly tight deadline, together with an international team, we delivered a look and feel for the programme that ticked all the buzzword boxes (engaging, visual, bright etc. etc.). The peanut butter in the Impact Initiative visual-sandwich was beautiful photography that captured the spirit of social enterprise. We were lucky enough to work with three talented photographers across the country. You can find their work at their respective sites below. In two weeks, F+D and a team of talented contractors designed, wrote copy for and developed the website for The Impact Initiative. Just in time for the Radio NZ interview (embedded below) with Ākina's CEO Louise Aitken.